Prominent & Leading Manufacturer from Mumbai, we offer fully auto pet bottle rinsing filling and capping machine, packaged drinking water plants, mineral water plant, water treatment system, fully auto jar rinsing filling capping machine and packaging solution for mineral water. 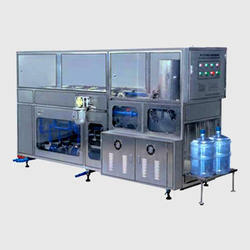 We are the manufacturers and exporters of Fully Auto Pet Bottle Rinsing Filling and Capping Machine. Highly suitable for mineral water packaging solutions like rinsing, filling and capping, we offer our range of Fully Auto Pet Bottle Rinsing Filling and Capping Machine that can also be custom build as per the requirement of the clients. Designed and fabricated using quality raw materials, these are user friendly and safe to operate. Moreover, these machines are multi-functioning and helps in saving time and cost. 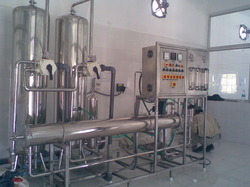 We are the manufacturers of Packaged Drinking Water Plants. Packaged Drinking Water Plants offered by us are backed by latest technology support that matches up with the defined water purification demands. Coming with advanced purification process, these functional processes of these drinking water plants ensure optimum functional support is provided in gaining purified water as per internationally approved norms. 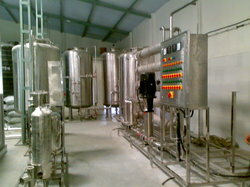 Further, these plants also provide for high efficiency operations as well as also require less maintenance support while handling varied purifications processes involving rinsing, filling, capping as well as water sterilization using oxidants and filtration techniques. 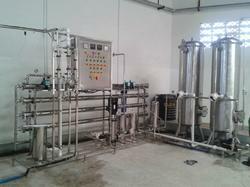 We are the manufacturers of Mineral Water Plant. We are the manufacturers of Water Treatment System. Water Treatment System finds application in meeting the demands of effective filtration of impurities as well as chemicals that are present in water and thus restoring the water quality standards and make it fit for particular usage in given applications. With the systems designed and developed as per defined industry norms, these are also known for easy installation as well as availability in customized finish sizes as demanded by the customers. 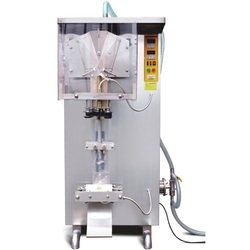 We are the manufacturers of Fully Auto Jar Rinsing Filling Capping Machine. Fully Auto Jar Rinsing / Filling / Capping Machine offered feature advanced process technology as well as designing & construction support which provides for delivering optimum performance in involved rinsing, filling and capping operations. Precision managing the complete processes from feeding bottle for primary sterilization to its washing, secondary sterilization, rinsing, filling, capping and other involved processes, the precise functioning and automatic functional performance of these machines make these highly desired by the customers. These machines also come with heater support inside hot water tank for delivering sterilization as per FDA standards. We are the manufacturers of Packaging Solution for Mineral Water.Packaging Solution for Mineral Waters offered can be made available by in both standard as well as customized operating specifications to choose from. Finding high demand in the mineral water processing industry, these plants are designed to precision handle different in-process requirements involving pre-treatment, filtration as well as disinfection of water among other processes. Further, the use of precision tuned parts & component support as well as latest technology support also make these provide for optimum water filtration interface and deliver safe bottled water for drinking purposes. We are the manufacturers of Filling Machine for Cups (Plastic Glass). Filling Machine for Cups (Plastic Glass) offered are well recognized for their durable construction values as well as support provided in form of latest technologies which provides for their delivering optimum functional support in given end plastic cup filling processes. Needing almost zero maintenance costs, these are highly suitable for meeting the packaging needs of products like Ice cream, Yogurt, Honey, Buttermilk, Shrikhand and others. With the machines providing suitability for both filling as well as lid sealing of cups, these are also engineered to enhance the efficiency of work process. 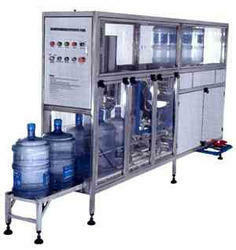 We are the manufacturers of Filling Machines For PET Bottles. Filling Machines for PET Bottles offered are made available by us in world class design standards that meet the filling needs of PET bottles. With the machines finding application in different industry sectors, the precision construction standards of the systems assist in ensuring these matches up with the specific process needs at client’s end. Some areas these are used in include for filling of products like natural juice, milk, mineral water, synthetic juice, carbonated drink and others. 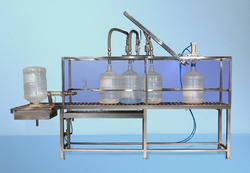 We are the manufacturers of Semi Auto Jar Rinsing Filling Capping Machine. Semi Auto Jar Rinsing / Filling / Capping Machine offered find wide application in varied industry sectors for handling the rinsing, filling and capping processes of jars. The precision functional support provided by these machines also make these provide for optimum performance at lower as well as higher operating speeds. For delivering complete reliability in operations, these machines also undergo stringent testing under different process stages as per set parameters. Further, the parts used in these jar filling machines also makes the system deliver optimum durability and consistent working support. 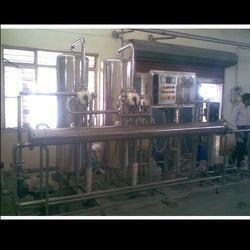 We are the manufacturers of Filling Machine for Jars. Filling Machine for Jars are recognized in the industry for their capability to efficiently handle the requirements of filling liquids in both low as well as high viscosities through volumetric filling. With the machines being tested on defined parameters that assures their compliance with defined industry laid norms as well as standards, these Jar Filling Machines can also be manufactured in adherence with defined functional standards and norms as required by the customers. Some areas these are used in include for filling detergent, paints, syrups, edible oil, lubricants and other similar products. We are the manufacturers of Rinser Filler Capper Machine For Soft Drinks. Rinser Filler Capper Machine for Soft Drinks offered are designed to precision handle the process requirements involving filling and capping of soft drink bottles. With the machine designed to perform integrated operations at larger speeds as well as for different volumes, the process support is also provided in form of programmable PLC as well as convertor & photoelectric elements that allows for precision handling of the operations involving precise torque of capping and filling operations. We are the manufacturers of Pouches Filling Machine (Water Bags Filling Machine). Filling Machine for Pouches (Water Bags) offered are backed by latest technology support as well as modular construction that makes these optimally perform the processes involving packing of water in pouch form. With the machines delivering process support in form of filling as well as sealing of pouches, these are precision fabricated by professional experts and come tested for defined process quality features at different levels of production. Delivering optimum performance, the machinery range can also be custom tuned to pack viscous liquid as per desired specifications of customers. We are the manufacturers of Semi Auto Blow Moulding Machine. Semi Auto Blow Moulding Machines are engineered to perfectly match up with the specific working needs of different related industry sectors. 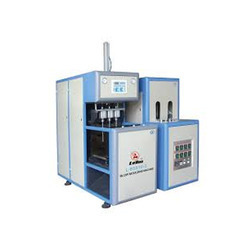 Providing for optimum molding interface, these machines can also be availed in different technical specifications as per client’s requirement for PET Blowing. Further, these can be made available in different working capacities from 600, 1200 and 2000 bottles on per hour basis. 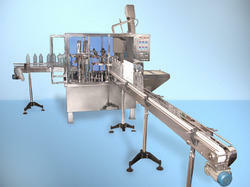 We are the manufacturers of Linear Auto Cup Rinsing Filling and Sealing Machine. Linear Auto Cup Rinsing Filling & Foil Sealing Machines offered are backed by latest technology support and find application in industry sectors dealing in processing of end products like milk, juices, mineral water and other similar products in liquid form. With the end fabrication standards of these machines delivered as per norms and standards of BIS, these provide for automatic loading and unloading operations as well as with multiple filling head provisions depending on production process requirements. Looking for Mineral Water Plants and Machinery ?